Living in a small apartment or a tiny house is difficult for most people. This is especially true for those that downsized from a much larger home. 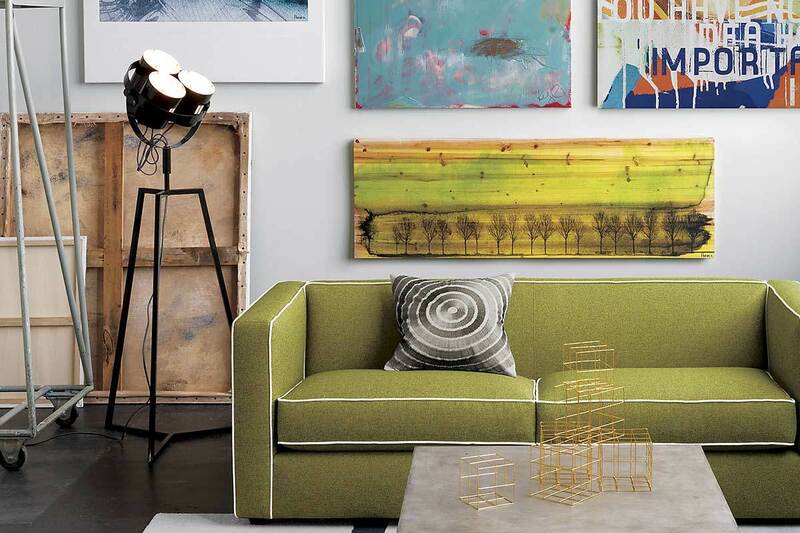 Yet whether you are living in a smaller apartment by chance or by choice, there are several things you can do to make the best use of space possible. Below are five amazing pint-sized apartments that pack a whole lot into an incredibly small area without making them feel claustrophobic. 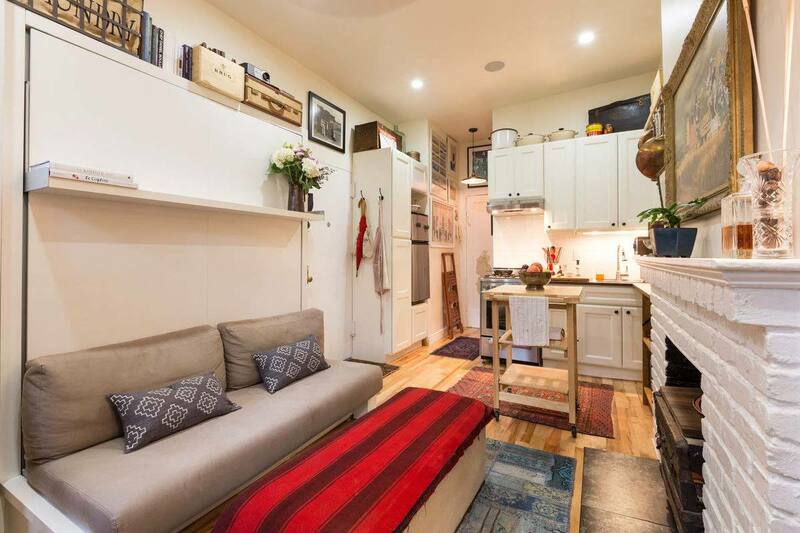 How tiny is this tiny apartment? Try 8 square meters. The small space was designed by Kitoko Studio using a “Swiss army knife concept” of design. The simple and functional walls of the studio hide more than they seem. They cover a sleeping nook, a staircase with storage, a two-seat table, a wardrobe, and even a tiny bathroom. Would you live in an apartment this small if it meant the chance to live in the middle of one of the most desired areas of Paris? Watch a video of this apartment. 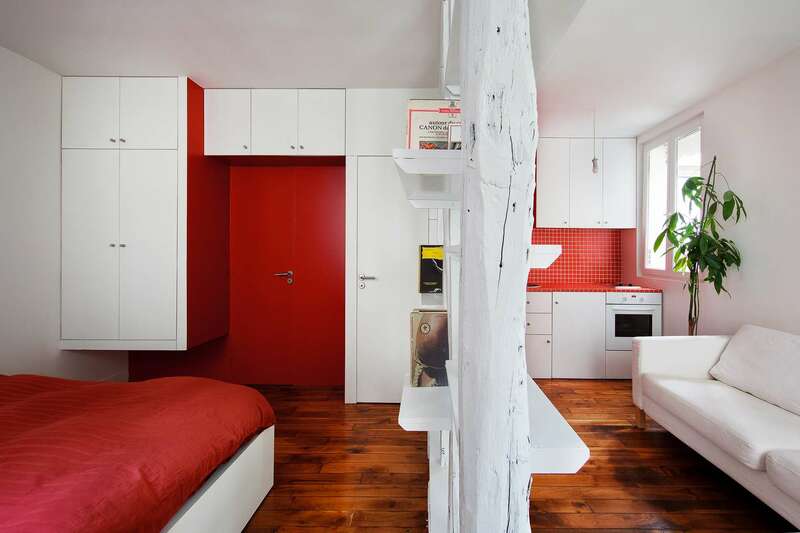 Also located in Paris, this apartment is bigger than the one above, but is still incredibly small by any standard. Clocking in at 25 square meters, the red and white themed apartment is tasteful and inviting in a naturally minimalistic way. The single room is split into a bedroom and a living space with a “see-through” wall unit for a more open appearance and to let natural light from the windows spread through the entire space. 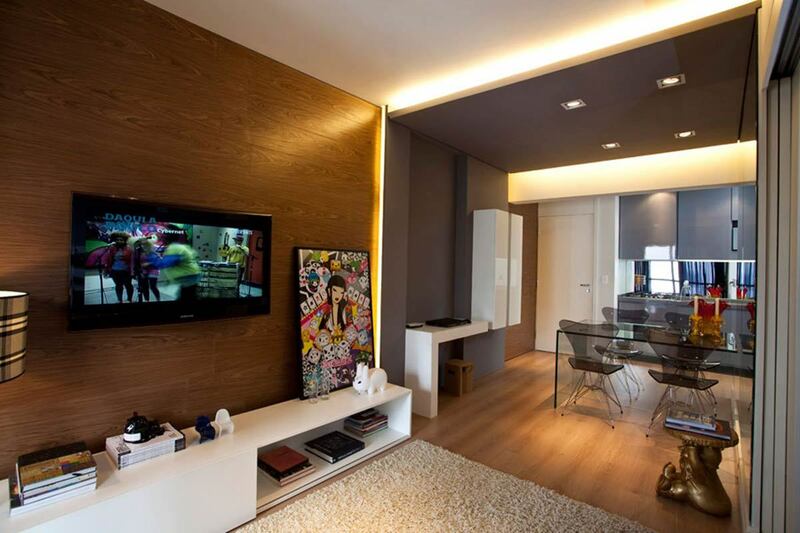 At 45 square meters, this Sao Paulo apartment is definitely a step up from others on this list. However, like every apartment we have covered it makes great use of what space it does have. 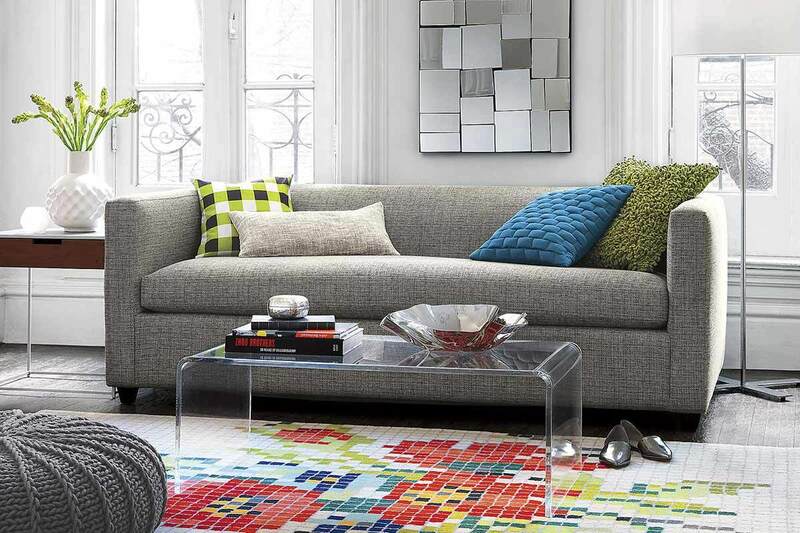 It features a very minimalist design and does not let its small size compromise its style. The open floor plan and the uncluttered feng-shui design helps give it the impression of more space and the wood paneled flooring contributes to the flow of the entire area. 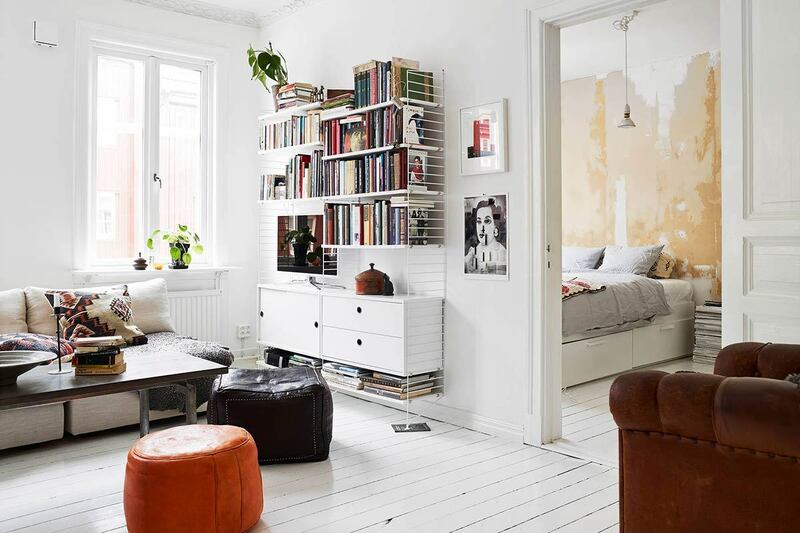 Located in Gothenburg, Sweden’s second largest city, this small apartment is only 55 square meters. It was built in 1897, though the stylish and modern interior design utilized by the current tenants makes it look anything but old. 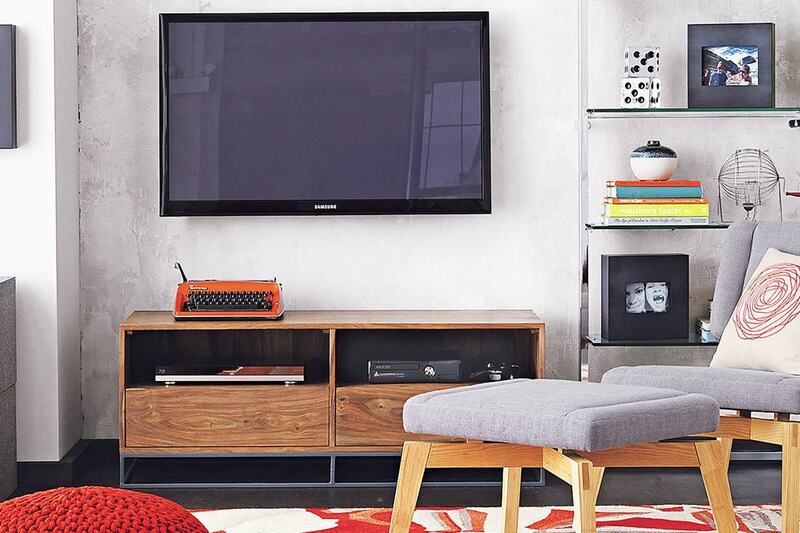 The key to the apartment’s design is in its simplicity. Everything from the furniture to the wall décor is kept simple and straightforward to make the space feel larger and to minimize clutter. White being used to paint from floor to ceiling in this space makes the room feel expansive and bright rather than closed in and dark.